Al Qaeda leader Ayman al-Zawahiri is able to communicate with affiliates in Syria and Iraq. On May 23, the very same day that Obama delivered this keynote speech at the National Defense University in Washington, Ayman al-Zawahiri, the leader of the core of al Qaeda, fired off a lengthy memo to two al Qaeda affiliates in the Middle East. This memo demonstrates Zawahiri considers himself and the al Qaeda core to be still relevant and very much in charge of the global jihadist movement. The Zawahiri memo, which was published on Monday by the Al Jazeera news network in the original Arabic, is addressed to the leader of al Qaeda in Iraq and the leader of Syria’s Jabhat al-Nusra, which is a front organization for al Qaeda, according to the State Department. Zawahiri said he made these decisions “after holding consultations with my brothers in Khorosan,” an ancient word for the region that today contains Afghanistan, which indicates that Zawahiri is able to communicate with, or perhaps even meet with, al Qaeda leaders along the Afghan-Pakistan border. Why does this matter? It matters because “Al Qaeda Central” is now trying to assert control over two of its most virulent affiliates. Al Qaeda in Iraq has mounted a series of spectacular attacks over the past year, which demonstrates that it is a force to be reckoned with again in Iraqi politics. The Congressional Research Service reported this month that there were some dozen days in 2012 in which al Qaeda carried out multicity attacks that have killed hundreds of Iraqis. And the al Qaeda affiliate in Syria is widely acknowledged to be the most effective fighting force that is now fighting the regime of Bashar al-Assad. A long-term safe haven for this group in Syria, which is in the heart of the Arab world and next door to Israel and that is now directed by al Qaeda Central, could create an organization with the intention and capability to attack the West. That Zawahiri continues to try to assert his control over al Qaeda-affiliated groups is not all that surprising considering that Osama bin Laden did the same thing while he was holed up in a compound in Abbottabad, Pakistan, for the last five years of his life before he was killed by a Navy SEAL team in early May 2011. Documents found at the Abbottabad compound show that al Qaeda’s founder was deep in the weeds of key personnel decisions. In a letter to the Yemen-based al Qaeda in the Arabian Peninsula, bin Laden was adamant that Yemeni-American cleric Anwar al-Awlaki not become that affiliate’s new leader. Awlaki never did get promoted and was killed in a U.S. drone strike in 2011. The mere existence of the Zawahiri memo shows that he is able to communicate with relative ease with al Qaeda’s affiliates in the Middle East. Because of the now-well documented dangers of using any kind of electronic communication system, Zawahiri, like bin Laden before him, is almost certainly using a courier network to hand-deliver his letters. 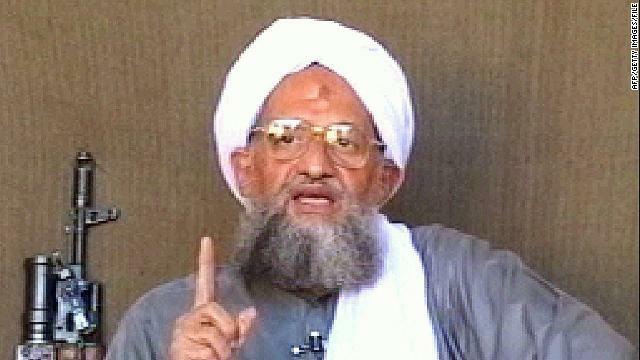 In closing his letter to al Qaeda’s affiliates in Syria and Iraq, Zawahiri appointed a man named Abu Khalid al-Suri to resolve any future disputes that might arise between the two groups. It isn’t clear to what extent al Qaeda’s affiliates in Syria and Iraq will actually pay attention to directives from Zawahiri but it is a fact that these affiliates have pledged their allegiance to him. If the core of al Qaeda is indeed on the road to defeat as Obama asserted three weeks ago, Zawahiri clearly hasn’t gotten this message.